What 10 books influenced your life? It was comforting to see many people comment with constructive and polite responses, because — if you’re not familiar with the online version of Syracuse’s newspaper — people can be not only vicious but ruthless with comments. Local advocate and confidant, Chris Fowler (@ChrisH_Fowler / @Syracuse First) got in with the game and posted his 10 books. There are two books that coincide with the two people listed above, and those have to be gotten out of the way as “non entries.” Sure, they can be added to my list, but these should not be considered a cop-out in regard to the overlap. The two books — well, one is actually a series — were integrated at two different parts of my life. On the Road by Jack Kerouac (found on Kirst’s) — The book and author were introduced to be halfway through college, and that’s a bit of a shock. For someone to enjoy reading and writing, Kerouac should have been more of a name to me in high school (at least). The poster that hung on my roommate’s wall, decorated with Kerouac’s face and a quote, was compelling. Ryan, the owner of the poster, looked shocked upon my inquiring. You can’t blame him; it wasn’t an overreaction since he kept still in his chair, and the only boisterous response was the shifting of facial expressions. Frog and Toad (series) by Arnold Lobel (found on Fowler’s) — Talk about learning lessons and accepting others for differences. This early read series struck a chord with me. It definitely got me into reading, wondering where these two character’s relationship would lead them. They could have been the children’s version of The Odd Couple. They could have been different races and religions for all we knew. But these two amphibians projected from humans still teach many people a lot about life and relationships and ourselves, whether we want to take away a lesson or not. If You Give a Mouse a Cookie by Laura Joffe Numeroff — In retrospect, this children’s book taught me numerous things: keep going, keep doing, keep trying to satisfy your desires … and if some human steps in the way, do it anyway. Of course, this would pertain to positive things. In retrospect, his — the mouse’s — book also teaches improv for beginners with the “If _____, then _____” pattern. It’s about “yes, and-ing” and stressing that if something is true, so is something else (even if they may be unrelated). 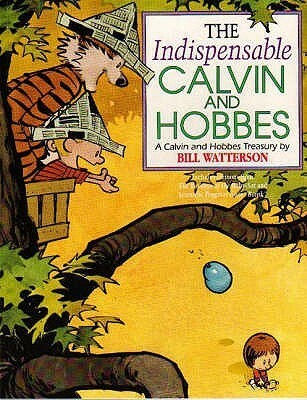 The world that was created by Bill Watterson and his Calvin and Hobbes comic strip cannot be forgotten about. A boy and his stuffed animal and best friend. When no one else is around, that tiger comes alive. Watterson, while incorporating a lot of adult humor into the series, reminded us kids to be kids and prolong the whole growing up thing. Growing up is inevitable, and it’s important to embrace what we had in front of us. Calvin and Hobbes embraced the family, friends, life during the changing seasons, bullying, schoolboy crushes (although we denied them as much as we could), and how to embrace and utilize those times of feeling alone. Oh, and how the power of imagination is limitless. The Adventures of Tom Sawyer and The Adventures of Huckleberry Finn by Mark Twain may be cliche, but they’re classics. You can’t have one without the other, and neither could Samuel Clemons. Childhood adventure concepts parallel my childhood and friendships. However, the Huck Finn coming of age story that spans both books is amazing. Sure, he still contains that devious and adventurous personality, but he grows up a lot. From one book to the next, Mark Twain uses his own acceptance and abolitionist change, and he showcases it through his titular character. Finn accepts Jim. Tom, in the latter novel, does not change. Twain put his heart into writing, paralleling his life and growth through his work. I love that passion. It by Stephen King. I red the monstrous book about the monster in nine days, suffering through all the nightmares that came along with it. It was a challenge this adult book with adult themes and adult language. The death and gore and scares were nothing like I ever encountered on television or in movies. Not only was this a coming of age tale of characters battling their inner demons with an actual demon, it expanded my horizons that anything can happen in literature. After returning this book to my Uncle Pat, he asked how I enjoyed it. I’d said I couldn’t wait to read it again. Things Fall Apart by Chinua Achebe. This book was read three times in my life. The first was in ninth grade, and Mr. Jones, my social studies teacher, said we could read this and take a test for extra credit. I prevailed on both halves of the challenge. The novel is literally filled page-to-page with history and culture. The second and third times reading this book were just as provoking, challenging, and intriguing as the first time. It’s a display and well illustrated of conflicts: man versus man, man versus self, man versus environment, and man versus environment. A book that was never finished was Love in the Time of Cholera by Gabriel Garcia Marquez. In the early 2000’s, found it arduous to get through and never finished it. Perhaps, one day, I will. However, Marquez is an excellent writer. This novel taught me several things: 1) finish something you start, regardless how painful it is to get through; 2) relationships are difficult, and there is a good chance there will be more obstacles than joyous moments; 3) love, it might be painful when you experience it, but it’s excruciatingly more painful when you lose it; and 4) chivalry is not dead. At Swim-Two-Birds by Irish author Brian O’Nolan (as Flann O’Brien) was one of the more surreal, humorous, and perplexing metafiction novels I have read. To mess and challenge myself, I read it after his The Third Policeman, which is another challenge for the imagination. Perhaps he can be attributed as an inspiration for my Thursday pieces at Syracuse New Times, which get stranger and stranger. Regardless, the Irishman is an inspiration to me as far as pushing myself to create fiction and tweak Non-fiction that extends beyond my comfort level. John Krakauer’s Into the Wild is another one to add to the list, a piece of Non-fiction that reads as if it were fiction. Yes, the book, which stems from the author’s research and article on Christopher McCandless, was eventually made into a movie, but the book is much more poignant. It’s a story about finding oneself, finding enlightenment. I have to end with another classic: The Old Man and the Sea by Ernest Hemingway. My father encouraged me to take it on at an early age, and it’s been read a few times since. It’s about chasing your dreams, achieving said dreams, having your success be devoured and taken away from you, but then realizing that you have more life to live — keep doing, keep trying, keep failing, and embrace your success. Life is about experiences and taking something away from each moment. Despite the content, IT was just a huge book to begin with! It was, and the 1,000+ page book was a personal record holder for me. I’m glad we see eye-to-eye with the Calvin and Hobbes thing. Although it’s not a book, it’s a piece of reading material. The strips were chronological, and the anthologies read like graphic novels. We were able to watch Calvin grow up even if he really did not. Ooooh I loved Frog and Toad! Forgot about those books. Wow, I feel like I should track them down somewhere. Find those dust-covered beauties and give them a big squeeze, or a quick page turn. Whatever you feel is most appropriate. Into the Wild is great, intense. It’s a nice thought provoking book. And a quick read as well; once I got into it, it was hard to put down.